This rare cornfield annual has bright-green, finely dissected leaves which are borne on a branched stem that can reach up to 50cm. 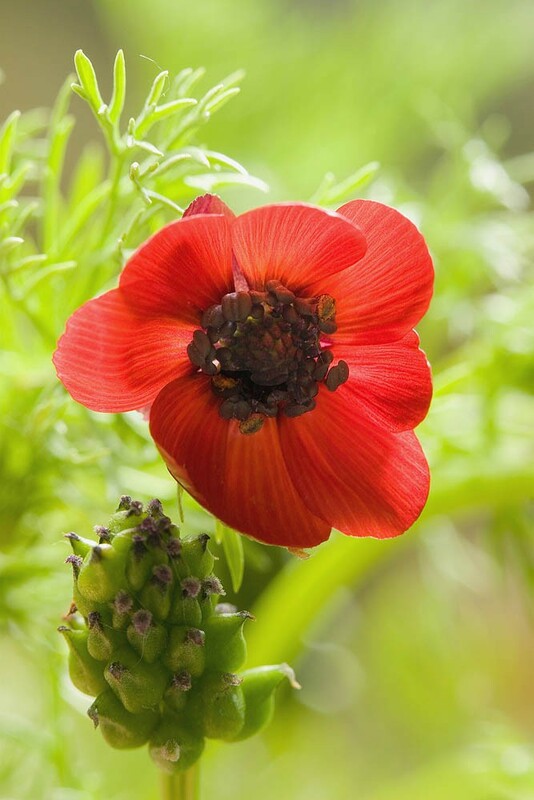 The distinctive flower, with its dark red petals surrounding a central mass of black anthers, has the appearance of a miniature (15-25mm across) anemone. Flowering is normally from June to July and is followed by an elongated oval seed-head of about 30 olive-green seeds similar in size and shape to grape pips. 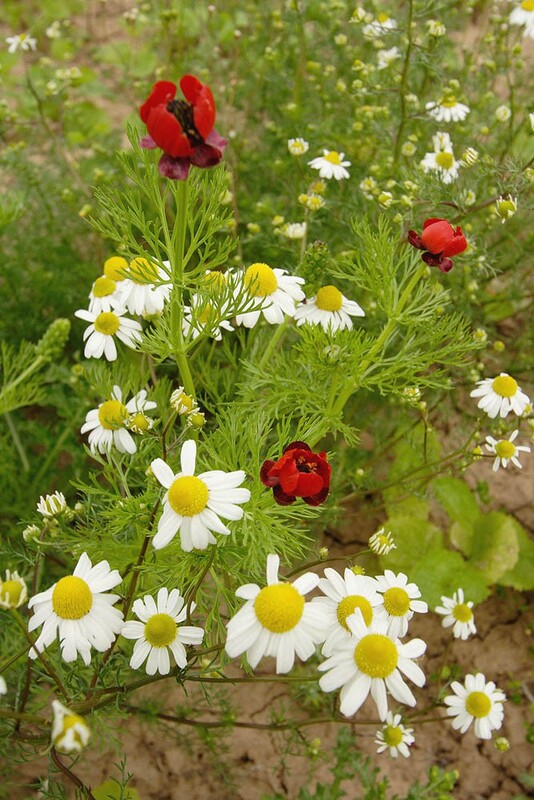 Pheasant's-eye seed has been found in Iron Age deposits and was probably introduced to Britain with the arrival of agriculture. It has always been restricted to the chalk and limestone of southern England where it was sometimes locally abundant. 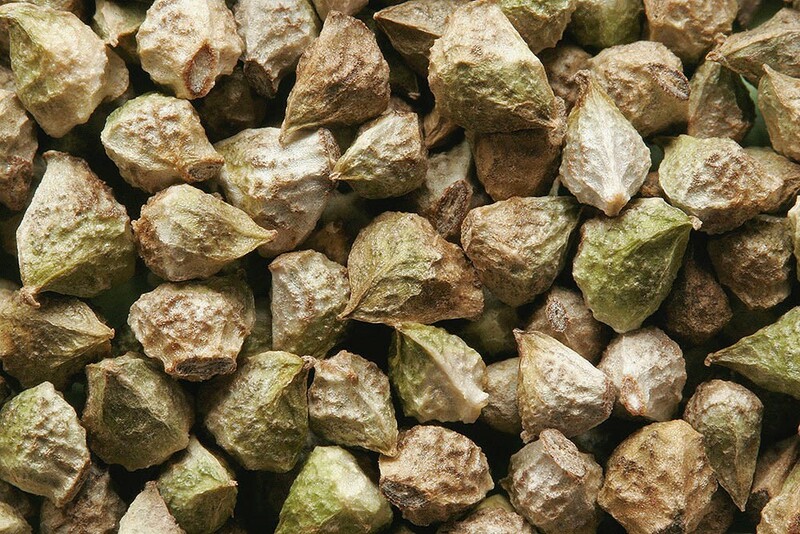 Seed production is modest to low but the seeds can remain viable in the soil for many years. Germination usually occurs in the autumn with some in the spring. Pheasant's-eye can be added to EC1 and EC2 or grown as a garden annual. It can be sown at any time from late August to April but probably the earlier the better. Always sow on calcareous soils that are not too heavy.